With a record-low unemployment rate, workforce development in Boone County has become a hot topic for municipal representatives. 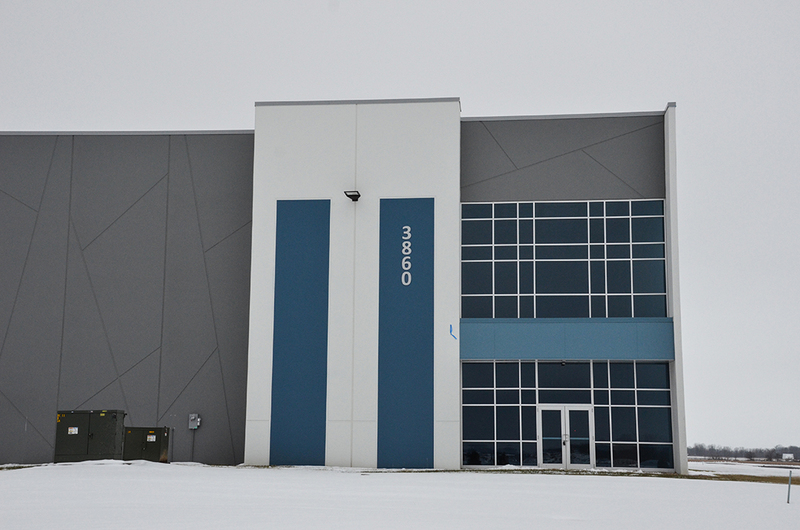 The Boone County Economic Development Corp. announced last month that 16 companies chose to expand or locate in Boone County in 2018. The businesses anticipate hiring more than 1,300 people and investing more than $279 million in the community during the next few years, and the investment has a projected tax impact of more than $18 million. The Town of Zionsville reached its “80-20 by 2020” objective two years early, a goal to have 20 percent of its tax income from commercial property. Although the industrial sector has expanded in Zionsville in recent years, the bulk of its new businesses in 2018 were retail, including Kim’s Cookie Cafe, Zionsville Olive Tap, Get Go and ReStore, among others. So many new retail businesses opened in Whitestown in 2018 that Tanya Sumner, director of public relations for the Town of Whitestown, often organized multiple ribbon cuttings per day. 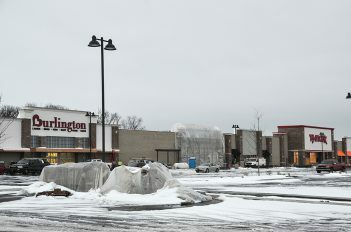 Whitestown will welcome at least 19 retailers in the Shoppes at Anson development, such as Burlington Coat Factory, T.J. Maxx and Hobby Lobby. Several new businesses also are planned for the Maple Grove retail center, including a wine bar, Mexican restaurant and smoothie shop, among other businesses. Sumner said finding workers is a continuing challenge for employers across the state. Sumner said the community affluence plays a role, because many teenagers do not have to work. While the towns and county tax bases continue to grow with each new business, filling those jobs could be challenging in an area that encompasses many rural towns. In Boone County, as well as in other areas across Indiana, the unemployment rate has hovered around 3 percent for more than a year. While that is positive news for workers, many companies are struggling to hire from a decreasing pool of candidates. With a 2.8 percent unemployment rate, Boone County’s is the sixth-lowest in the state, according to a November 2018 report by the Indiana Dept. of Workforce Development. Boone EDC, under contract with Boone County and municipalities to serve as an ambassador of economic development, also has become a leader in helping connect companies with workers. With job fairs, the creation of a Boone County Manufacturing Alliance, wage and benefits surveys and other avenues, Boone EDC aims to connect businesses with potential employees and help retain the employees they have. Boone EDC also holds an “HR roundtable” for human resources professionals in Boone County. “We believe heavily in making connections and building relationships,” Whitehead said. Zionsville’s population is 26,710, according to the most recent United States census estimates. In 1995, the town had 7,533 residents. Whitestown had 514 people in 1995 and grew to 9,700 in 2018. While Boone County does not lack in population or job growth, its shortage of affordable housing could be causing some workforce issues. In September 2018, Hamilton County-based Housing and Neighborhood Development Inc. expanded to Boone County and invested more than $2 million to acquire and renovate 17 duplexes in Lebanon, which it will maintain as affordable apartments for low-income residents. The goal is to solve a housing issue and a workforce issue. The Whitestown Connector, a bus service of Central Indiana Regional Transportation, drops off a worker in front of the Amazon Fulfillment center in Whitestown’s industrial park area. Transportation, drops off a worker in front of the Amazon Fulfillment center in Whitestown’s industrial park area. 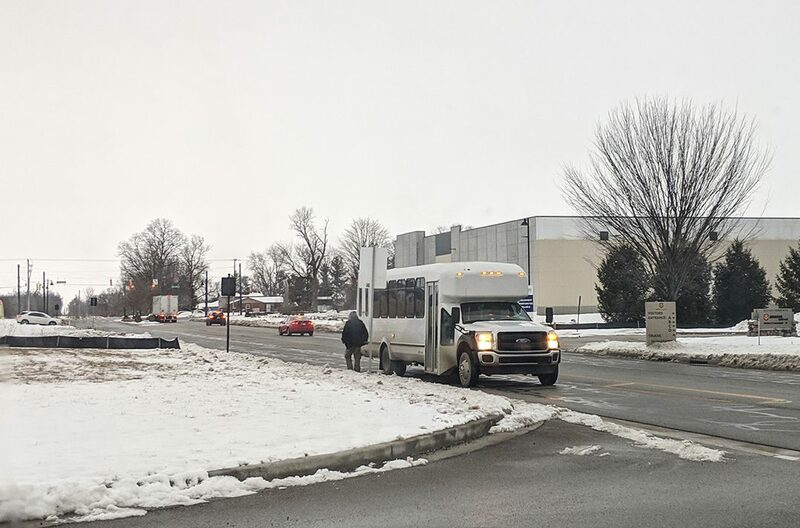 Additionally, the Whitestown Connector, a service of Central Indiana Regional Transportation Authority, shuttles workers to Whitestown jobs. The Connector picks up from IndyGo routes and travels through Whitestown’s industrial park area off I-65 exit 33. The CIRTA bus program began more than three years ago, but funding expired in 2018. The town re-subsidized the bus line using tax increment financing, which reallocates funds from property taxes to encourage investment within a district. The Anson area, straddling Whitestown and Zionsville, is just off I-65 exit 130. The Connector passes it on the way to Whitestown’s industrial district.